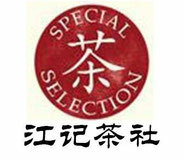 Gold and silver are always taken as precious item in ancient China. In the Shang Dynasty about 3000 years ago, Chinese people had already used gold and silver utensils. 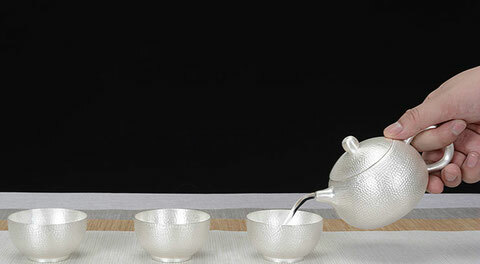 In terms of materials, there are teawares made of silver and gold, and also silver tea sets covered with gold foils called “gold decorated tea sets”. Most gold and silver teawares are hammered into shape, or die-casted, or welded, and decorated with engraved or hollowed out patterns. Due to the good ductility and corrosion resistance of gold and silver, their beautiful colors and gloss, gold and silver tea sets are extremely delicate, very expensive, and mostly used by royal or rich families. The Tang Dynasty witnessed a peak in the history of gold and silver utensils. It was a relatively open society then and had more frequent communication with other countries; craftsmen learned gold and silver processing skills from Western Asian areas, combined these skills with traditional local ones and improved the quality of gold and silver utensils. In addition, many gold and silver ores were discovered in the Tang Dynasty, which was also led to a big breakthrough in Xiantong (874), the Tang Dynasty,1120 years ago, witnessing the popularity of tea drinking of the time. Gold and silver utensils became more popular in the Song Dynasty. Beside the royal palace which had special gold and silver processing unit, shops selling them could also be found within the city. Rich businessmen and families could also use them. According to Menghua Collections in Dongjing, some restaurants among ordinary people also used gold and silver drinking wares. The Song people took gold and silver teawares as high standard ones and the symbol of social status and wealth. In the Ming Dynasty, the skills of making these utensils were not largely improved, though the gold and silver teawares excavated from the emperor tombs of the Ming Dynasty were very delicate. A great development was seen in the Qing Dynasty, and it became more common to find them in the royal palace. According to historic records, eunuchs used jade bowls, gold bowl base and gold covers to serve Empress Dowager Cixi. 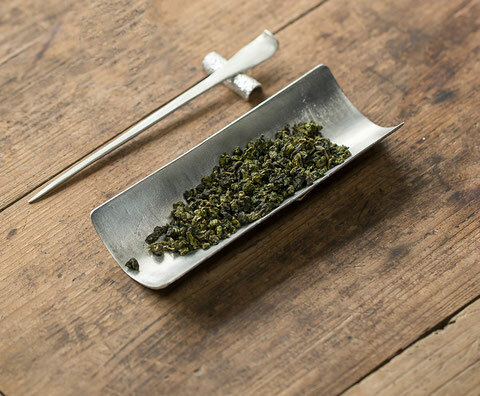 The emergence of tin teawares is characteristic of the Ming and the Qing Dynasties. Early in the Shang Dynasty people began to use tin, yet it was just a material for alloy process. The golden era if tin utensils are the Ming and Qing Dynasties. Tin tea pots like purple clay tea pots in the Ming Dynasty were welcomed by scholars, and there appeared many masters in making them, and many splendid scholarly tin pots were made regardless of labor or money. In the reign of Emperor Wanli, the Ming Dynasty, Zhao Liangbi from Suzhou learned from the purple clay pot of Shi Dabin and then made some great tin pots, which were deeply loved by scholars at that time. After him, Master Gui Fuchu used raw tin to make pottery, ebony to make handle and jade to make spout and lid. These tea pots were very expensive even at that moment. The tin teawares made by Wang Yuanji from Jiaxing were famous for its delicate feature. 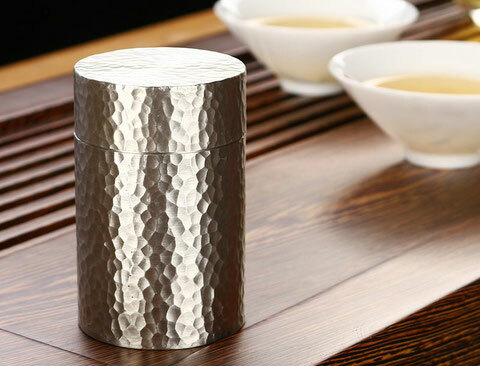 The teawares looked like silver, the lid and body were connected very well. When you lifted the lid, the whole pot would go up. This was similar to the purple clay tea pots made by Shi Dabin. Tin teawares were still used in the Qing Dynasty and this period witnessed several skillful masters in making tin utensils. The most famous one at the beginning of Qing Dynasty was Shen Cunzhou. He was good at making tin sets of various types and designing the shapes of the pots. The tin pots he made have water mark color, which was bright and shining. All the poems, names and paintings on the pots were very orderly. In the region of Emperor Daoguang and Emperor Xianfeng, masters like Wang Shancai, Liu Renshan and Zhu Zhenshi made many delicate tin utensils. Firstly, pay attention to the difference of temperature between the inside and outside of the metal pot. Warm the pot before making tea, so the pot will absorb heat evenly. Secondly, clean the teawares after using. Do not leave dreg inside to avoid corrosion. Thirdly, try to use some soft dry cloth instead of chemical cleaners to clean metal teawares because these chemical substances may react with the metal and produce harmful substances. Finally, dry the teawares before storage. Do not keep them in humid place with corrosive gases to avoid rusting. 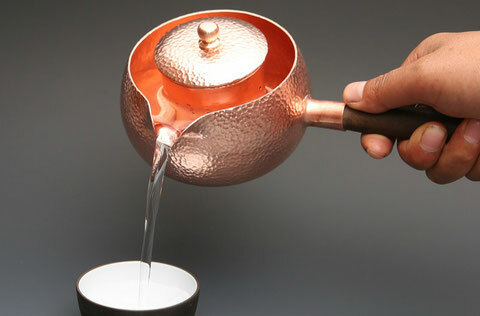 In addition, do not keep metal teawares together with other hard items or they may collide and damage the surface.